Victor Sneed alleges Brand drove his car so that it collided with Sneed, causing personal injury and property damage. 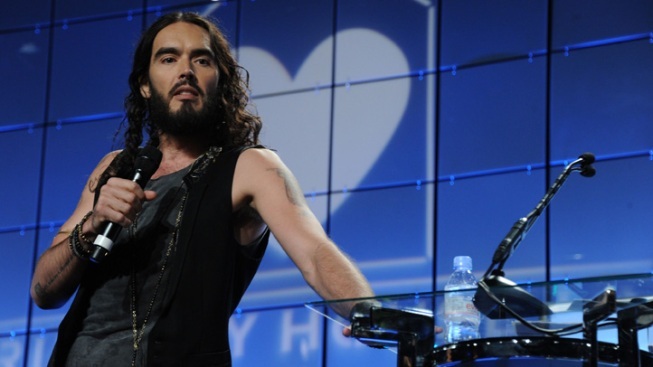 Russell Brand, pictured here at the LA Friendly House Luncheon in Beverly Hills, Calif, had another run-in with the law. Russell Brand's latest hit isn't going over to well with a certain pedestrian. The 37-year-old Brit has been sued for negligence by a man who claims the "Get Him to the Greek" actor hit him with his car while driving down L.A.'s Olympic Boulevard back on Jan. 16 of this year. In documents obtained by E! News, Victor Sneed alleges Brand drove his car so that it collided with Sneed, causing Sneed personal injury and property damage. According to the papers, which were filed yesterday, Sneed has suffered loss of wages due to his injuries from the alleged incident and has incurred hospital and medical expenses as well as legal fees. Sneed is seeking compensatory damages from Brand in the suit. Brand's rep did not immediately comment.